Mom and dad decided Syn was old enough to stay home by himself and watch one of his favorite pirate movies while they went out. Good thing they made sure he was wearing protection before they did though! Looks like they figured he wouldn't make it through the whole movie. 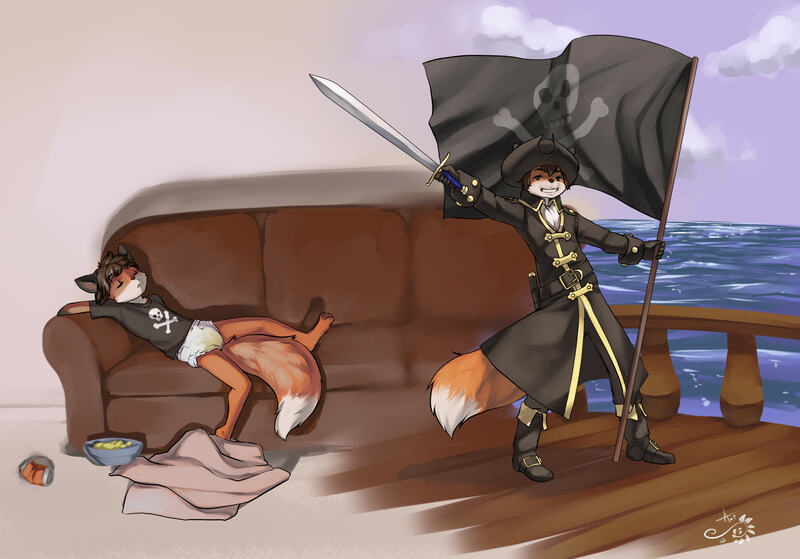 Meanwhile, off in dreamland, there's treasure to be found - hoist the colors and prepare for battle! Thanks! Aogami does some really great stuff.